The industry’s best water repellent just got much better! Utilizing nanotechnology, Q NanoPel® provides greater bonding strength – improving the protection of the vehicle and its drying capability. 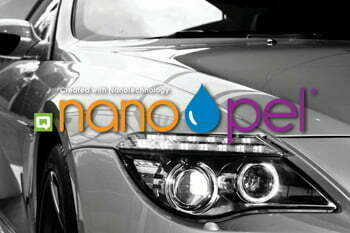 Q NanoPel® creates a beautiful shine and prolongs the life of your vehicle. Apply Q NanoPel® before friction to create a protective barrier across the vehicle’s surface.